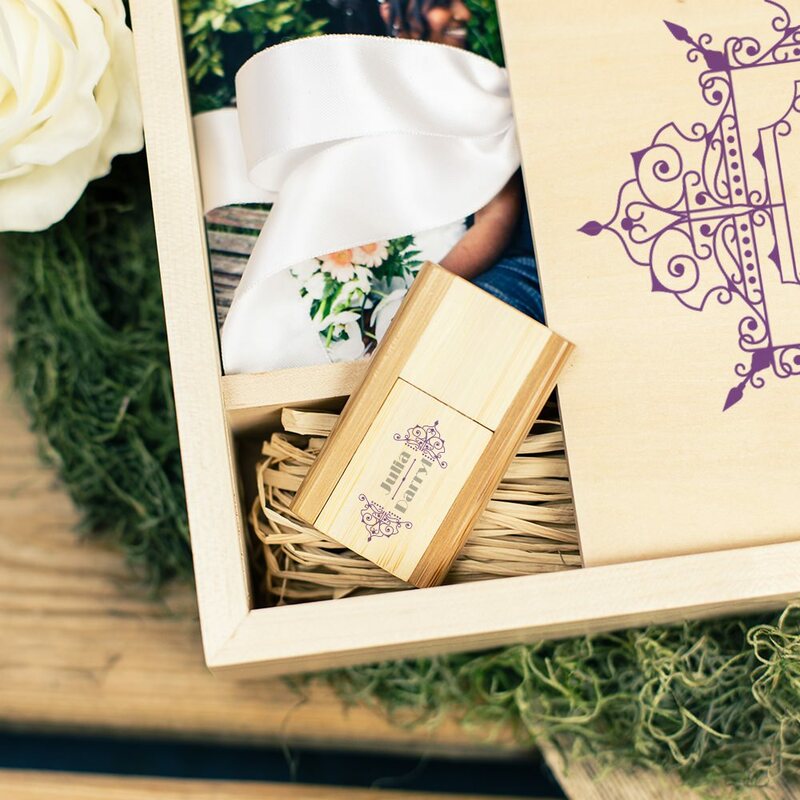 Surprise your clients with the Natural Wood USB Presentation Box! 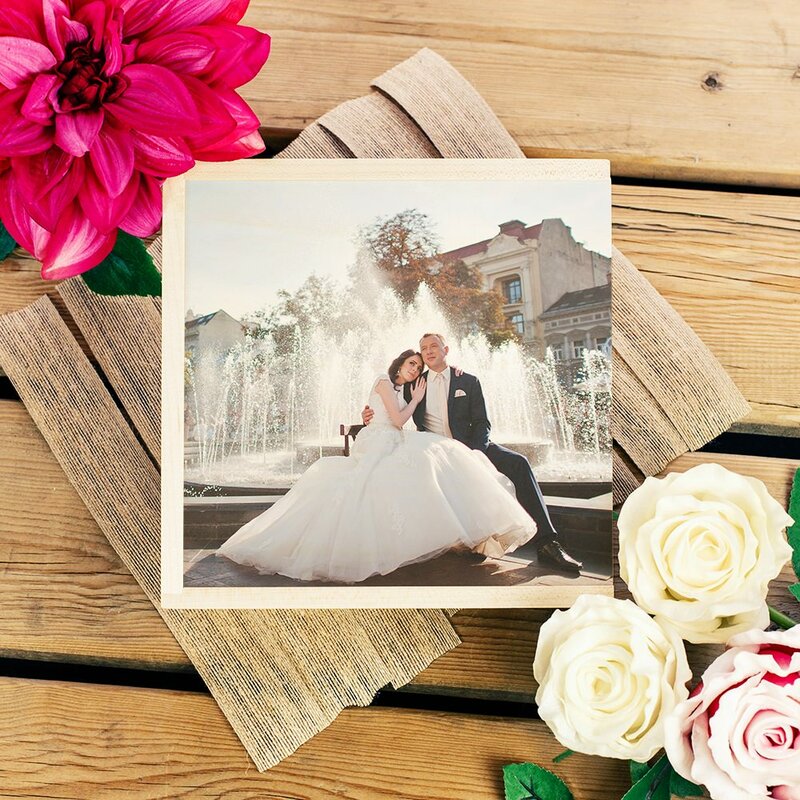 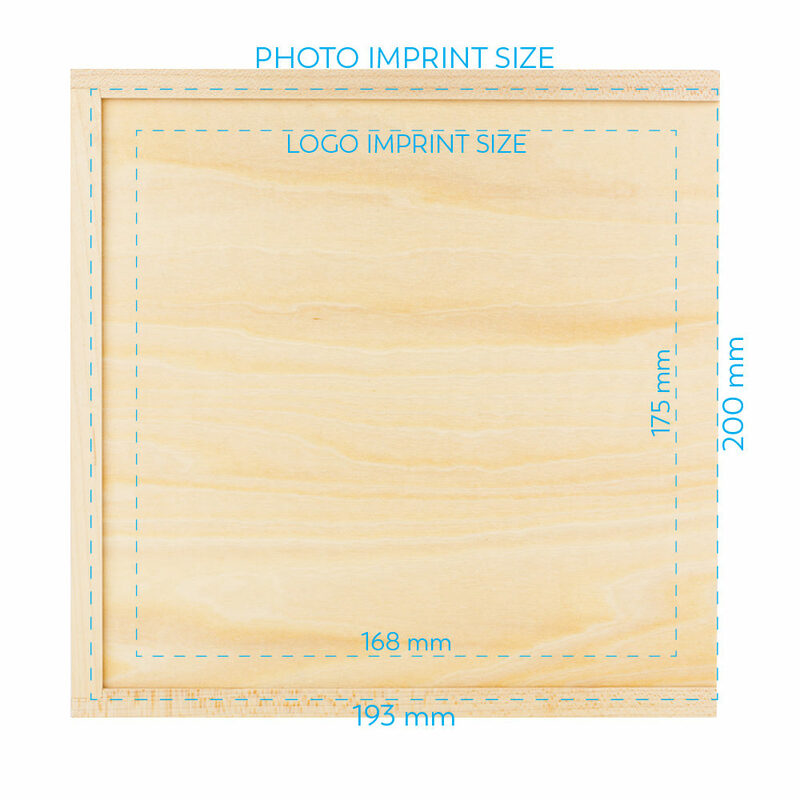 Each custom wooden usb box holds up to 150 photos and has a separate compartment for a matching wooden USB Drive. 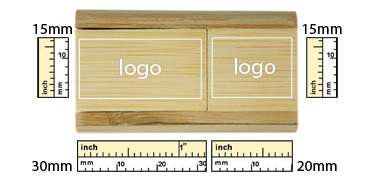 The slide-out lid adds both elegance and protection, while enhancing the beauty of the Natural Wood. 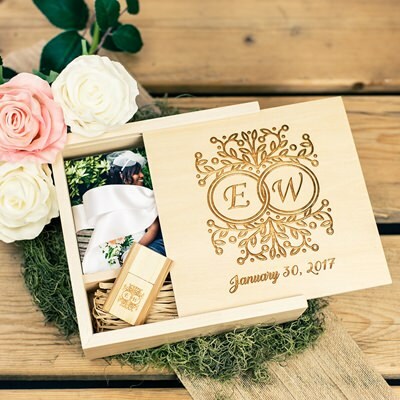 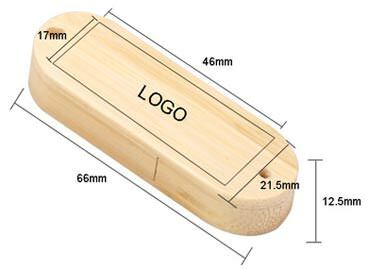 Adorn the Box lid with your unique artwork in 4-color print or laser engraving. 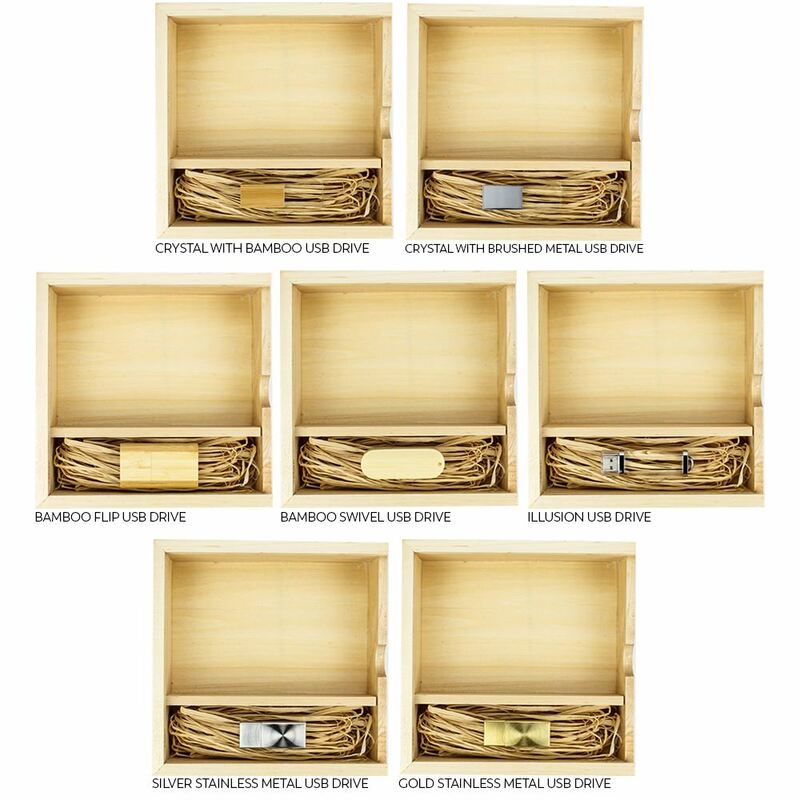 Each USB can also be customized to coordinate with the Natural Wood Box. 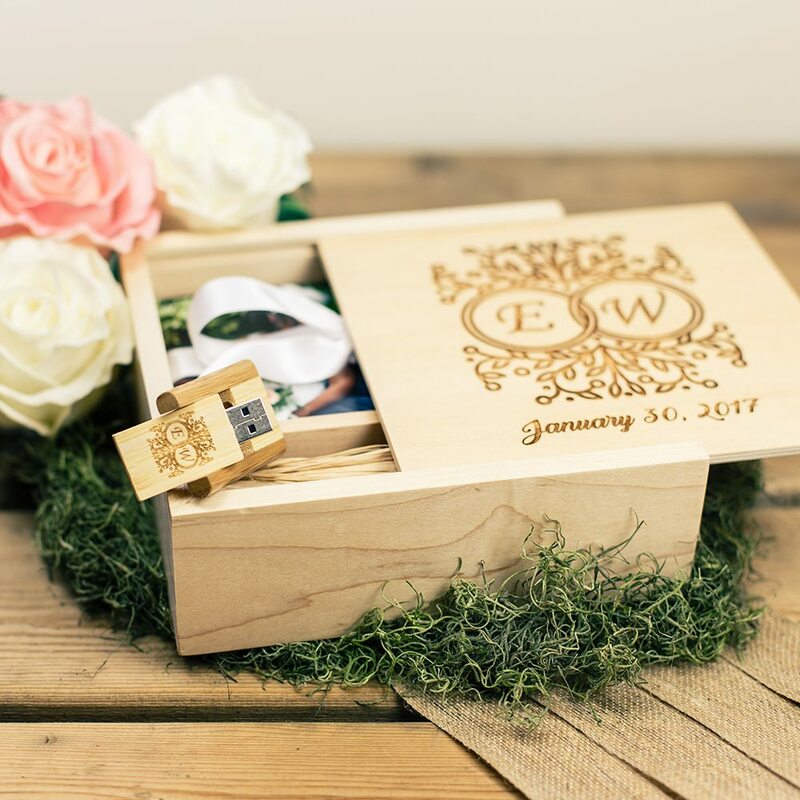 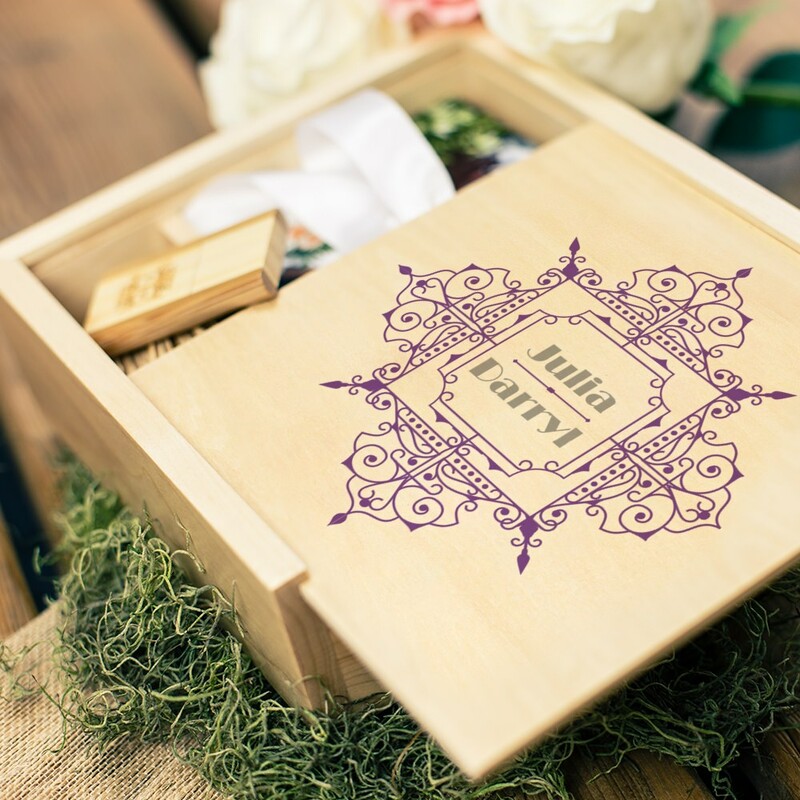 Your clients will treasure this beautiful wedding usb gift box.